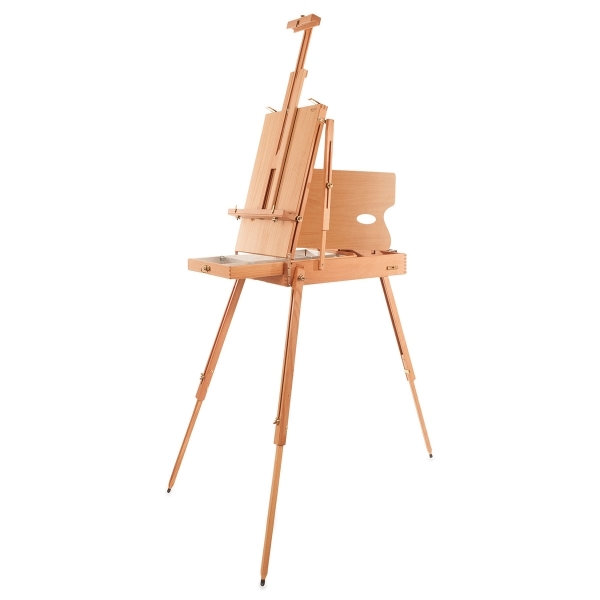 Mabef's traditional French easel combines an easel, sketchbox, canvas carrier, and some clever "foldability" into one box. This one is perfect for field work — it'slightweight and compact, yet solid and durable. Mabef's Sketchbox Easel is made of oiled beechwood, with brass hardware and a leather handle. Its legs adjust to balance the load, even on rough and uneven terrain. 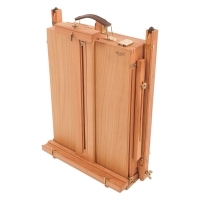 It holds paintings up to 34" (86 cm) high. The canvas holder adjusts to any angle, from vertical to horizontal. 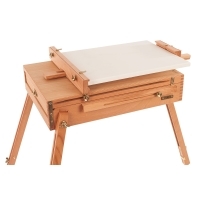 Its sketchbox is tin-lined with a compartmented, slide-out accessory drawer and a lid that slides off to become a wooden palette. More storage space is available underneath the drawer. 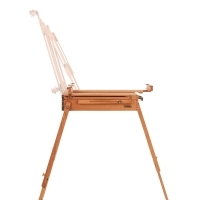 Maximum easel height is 72" (183 cm). It folds down to only 17¼" wide × 22" high × 6" in diameter (44 cm × 56 cm × 15 cm). 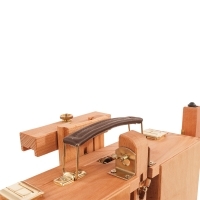 It weighs just 13 lbs (6 kg).